Canadian drivers are seeing the lowest prices for gasoline in months, as a slump in the price of crude oil hits gas stations. Canadian drivers are seeing the lowest prices for gasoline in months, as a slump in the price of crude oil has hit gas stations. The price of the North American crude oil benchmark known as West Texas Intermediate is hovering at just over $56 a barrel on Thursday, a drop of more than $20 since the start of October. While a variety of factors go into the price that Canadians pay at the pump, the underlying price of crude oil is one of the most important, which is why the slowdown in oil is filtering down to gas pumps. 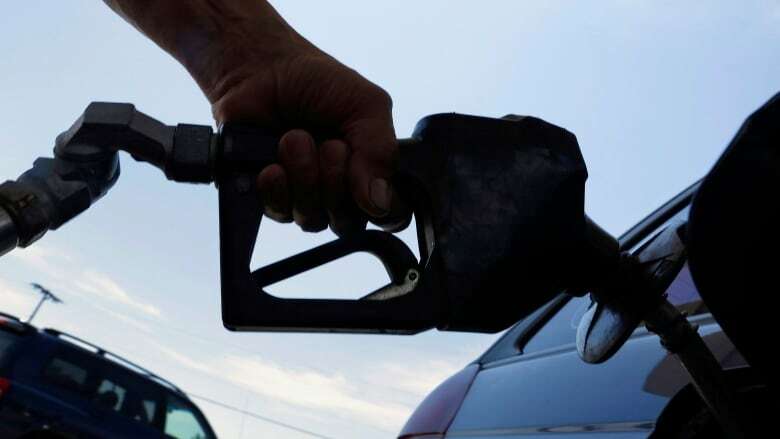 According to GasBuddy.com, prices dropped by four cents a litre in Ontario on Wednesday evening. Quebec saw the same decline a day earlier. In New Brunswick, P.E.I. 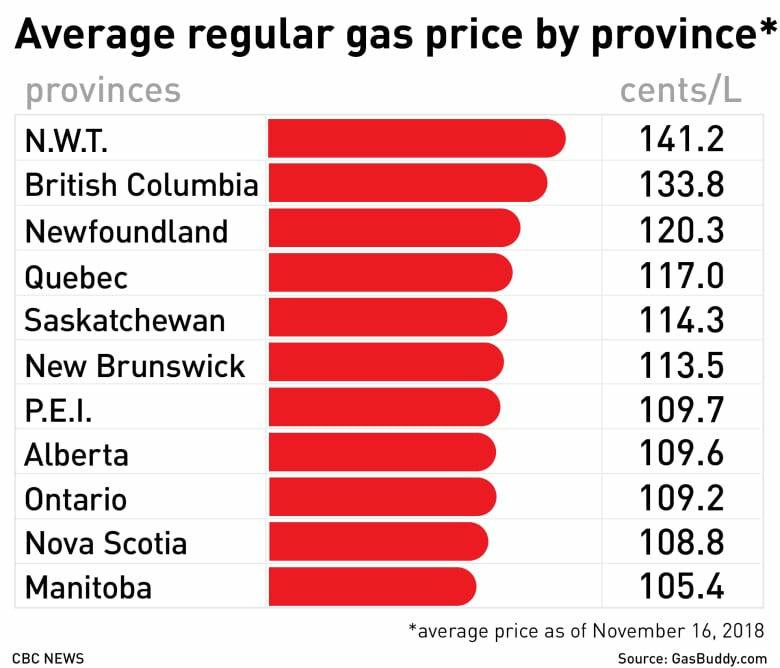 and Nova Scotia the drop was 3.2 cents, on average. "Western Canada will see a two cent a litre decrease," said Dan McTeague, senior petroleum analyst for the price-comparing site. "That's everything except for Vancouver and the Lower Mainland [because] in Vancouver they are waking up to a six cent a litre decrease." According to Bloomberg data, across the country, the average price for a litre of gasoline was 114.82 cents on Thursday. That's the lowest it's been since February. The heavier blend of oil extracted from Alberta's oilsands is known as Western Canada Select (WCS), and a barrel of that was going for near its lowest level on record Thursday — less than $14 US a barrel. The reason is a lack of pipeline capacity — a problem the industry has complained about for years but is becoming more acute. Oil producers can't find ways of moving their product out of Alberta to refineries, which has created a glut that's led to record-low prices for WCS. The CEO of oilsands producer Cenovus Energy said this week the situation is an "emergency" that warrants government intervention. It's an idea that's drawing a lot of criticism, but it's not unprecedented. Peter Lougheed's Alberta government briefly attempted something similar in the 1980s. "The government has tools to deal with this," Cenovus CEO Alex Pourbaix said. "It's temporary but a very acute situation."